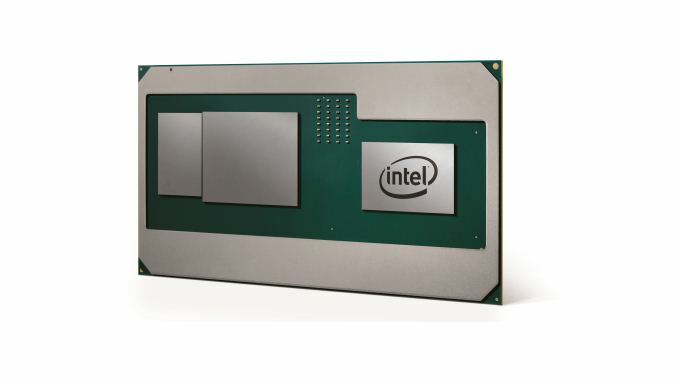 The Core i7-8809G is not a part that Intel has formally announced in a press release, but on Intel’s overclocking webpage here it as listed as being a quad-core processor with hyperthreading, supporting a 3.1 GHz base frequency, having an 8 MB L3 cache, a 100W ‘Target’ TDP, and supporting two channels of DDR4-2400. 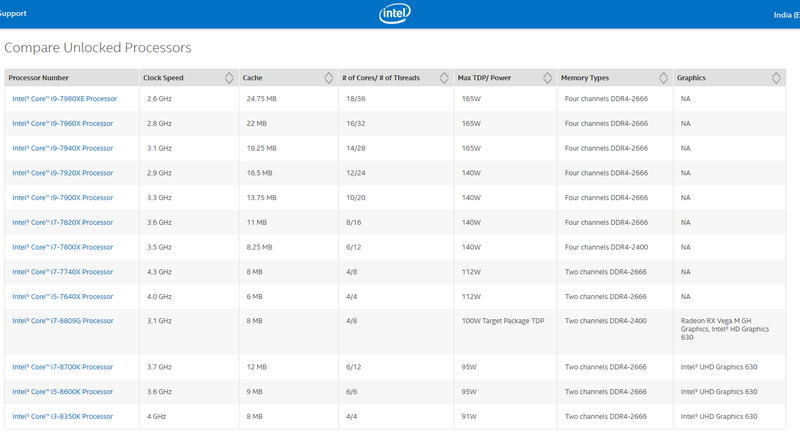 Intel lists both sets of graphics: the integrated graphics (iGPU, or IGP) as 'Intel HD Graphics 630', and the package graphics (pGPU) as ‘Radeon RX Vega M GH Graphics'. Many thanks to SH SOTN for the tip. According to some other media, the 8809G will turbo to 4.1 GHz, while the graphics will feature 24 CUs (1536 SPs) running at 1190 MHz while the HBM2 is 4GB and will run at 800 MHz. The same media are also listing the Core i7-8705G (20 CUs, 1000 MHz on 'Vega M GL', 700 MHz on HBM2) and a Core i7-8706G. None of the information from those sources is yet to be verified by AnandTech or found on an official Intel webpage. It's ironic that this "dream combo" part is finally coming out after AMD's CPU cores are good enough that the combo isn't as comparatively desirable. What was it with FreeSync 2 that required an AMD CPU?